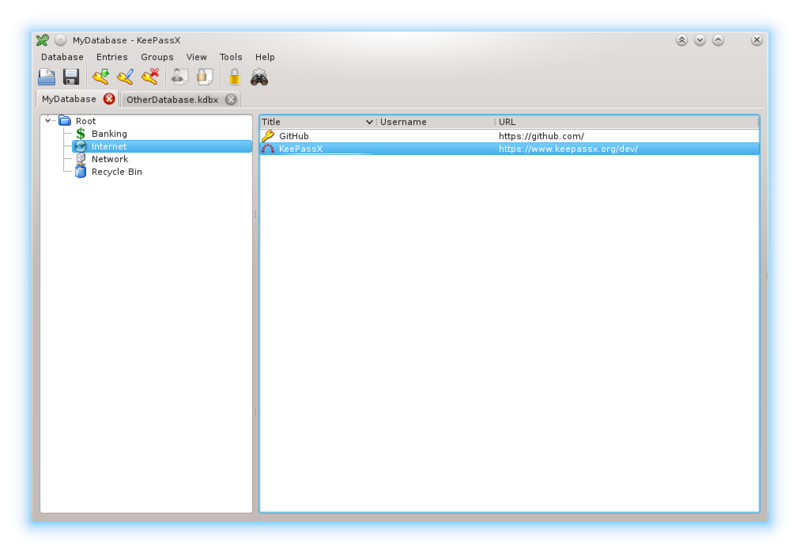 KeePassX saves many different information e.g. user names, passwords, urls, attachments and comments in one single database. For a better management user-defined titles and icons can be specified for each single entry. Furthermore the entries are sorted in groups, which are customizable as well. Do not save keypass database in chocolatey tools folder, it may be removed during upgrade. access to the KeePassX database is granted either with a password, a key-file (e.g. a CD or a memory-stick) or even both. Remove-Item -Force -ea 0 "$toolsPath\*.zip"
This discussion is only about KeePassX Password Manager and the KeePassX Password Manager package. If you have feedback for Chocolatey, please contact the google group. Tell us what you love about the package or KeePassX Password Manager, or tell us what needs improvement. Deployed from e27d7a207f. You are on web.3. UTC time is currently 22 Apr 2019 07:25:21 +00:00.